This book is intended to be, above all, a eulogy dedicated to Romanian village fountain of life and perfection of our nation fireplace. Romanian village is, by definition, a generator of tourist activity, and we hope the authors of this book, I was able to demonstrate this. 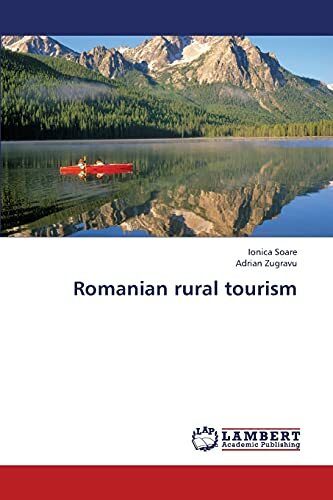 Comprehensive approach to tourism, the tourism potential of the Romanian village, becomes a necessity, not only in terms of academic, scientific, especially in terms of practical applicability, which can not only be beneficial in shaping panel general rural Romania. It is a necessary step imperative, but ultimately is a process of soul image needed to fill the Romanian village, village with multiple meanings in terms of tourism and more. Soare Ionica is an Assitant Professor at the Department of Economics, Faculty of Economics and Business Administration, University Dunarea de Jos of Galati. Her research activity is focused mainly on economic geography applied in agritourism activities for sustainable development.